They may carry the label of an expansion team, but the Vegas Golden Knights certainly aren't playing like one. In fact, they're the best team in the Western Conference. "I think it's a better team than people expected," Vegas coach Gerard Gallant said. "The guys are working hard and chipping in, we've got some good hockey players. They're scoring goals and tonight we needed every one of them. They found a way in overtime after giving up three goals and found a way to win." But Tuesday's win didn't come easy, as the Sabres scored three third-period goals - two on a power play - in less than 10 minutes, including Evander Kane's game-tying goal with 8.9 seconds left in regulation. "When we go back and look at the last 10 minutes when they scored three goals, they got a couple lucky goals, they got some power play goals," Gallant said. "We took too many penalties in the last period. I gotta give the other team credit too." "You don't wanna over exert yourself, but at the same time you've got to be ready," Subban said. "They got a lot of traffic to the net. 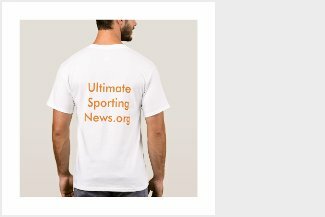 The team helped me out a lot. It's a great team effort and we're just happy to get the win." Buffalo opened the scoring in the first period, taking a 1-0 lead with 13:36 left in the first period, when Ryan O'Reilly's shot from the circle was blocked by Subban, but continued its momentum and trickled into the net. 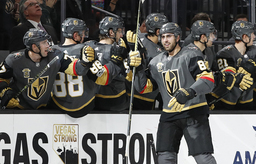 Alex Tuch, who was called up from the American Hockey League's Chicago Wolves prior to Sunday's game against the Boston Bruins, scored his second goal in as many games when he tipped Deryk Engelland's shot past Johnson to give the Golden Knights a 2-1 lead. Smith wrist shot late in the second period pushed Vegas' lead to 3-1, while Perron's first goal extended the advantage to 4-1 early in the third. Buffalo wouldn't go away, however, as O'Reilly cut Vegas' lead in half with a wrist shot past Subban, in the upper right corner, eight seconds into a two-man advantage. With 1:58, on the power play again, Rasmus Ristolainen's wrist shot found its way past Subban to cut Vegas' lead to one, 4-3. "The disappointing part is we didn't play that way for 60 minutes," Kane said. "You can't wait `til it's 3-1 or 4-1 to get grittier. It's frustrating because I know we can play like that. We've proven it, we've showed it. You can't take periods off or you can't take shifts off. You gotta work." NOTES: The Golden Knights continued to struggle with power-play opportunities, scoring on just 1 of 5 attempts in the game. They are 2 for 26 this season on the power play. ... Vegas selected William Carrier from the Sabres in the Expansion Draft. ... Since 1970, the Buffalo Sabres are now 14-3-1 all-time in their first game against teams that joined the league via expansion. ... The Sabres are 10-4-4 all-time when visiting a new expansion team. ... Buffalo dropped to 9-15-1 all-time on Oct. 17. ... Sabres right wing Kyle Okposo will celebrate his 600th career game his next time on the ice.